We’re proud to offer jazz trio and quartet music for cocktail hours, private parties, and corporate events. 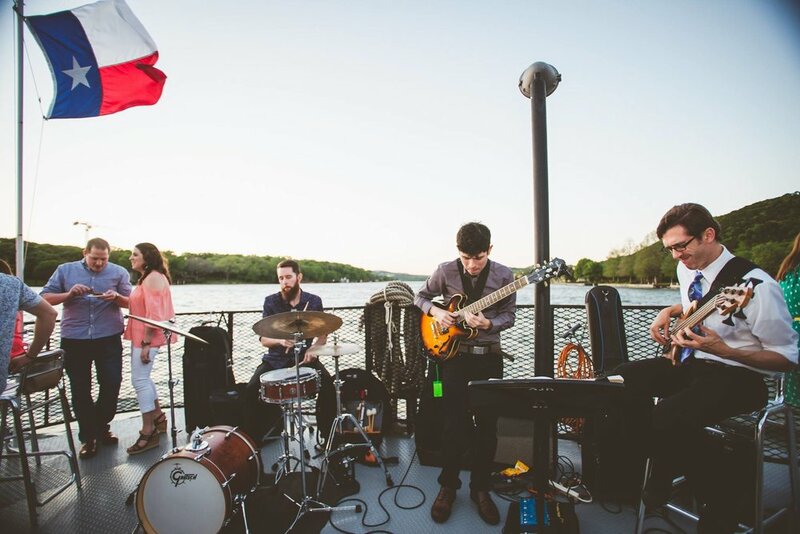 Featuring Austin's top jazz professionals, our sound adds a rich, elegant, upbeat ambience to your special event. 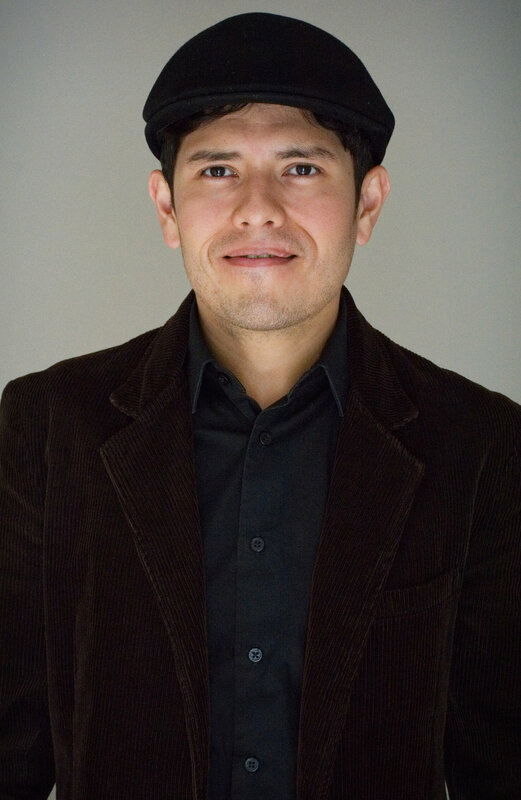 Guitarist, composer, and Live Oak Trio coordinator Alan Retamozo is an accomplished performer with close ties to the diverse Austin music community. He has a strong background in both classical and jazz traditions as well as years of professional experience in styles including rock, pop, Brazilian and South American music, afrobeat, country, funk, and blues. His formal education includes private study with contemporary guitar luminaries and jazz greats such as Mick Goodrick, Sheryl Bailey, John Mills, and Andre Hayward. Performance credits include REVEL Series (hosted by KMFA 89.5 Austin), SoundSpace at the Blanton Museum of Art, Slant Ensemble, and Austin Symphony Orchestra After Hours Series (Bryan Kennard Trio). A native of the California Bay Area, tenor saxophonist and composer Jessica Mortensen began playing classical piano at the age of 5. After exploring many genres of music throughout her teenage years, she picked up the tenor saxophone and has been making a name for herself as a gifted jazz performer ever since. From jazz to soul to fusion and R&B, Jessica's versatility appeals to a wide range of musical tastes. Coming to Austin for educational pursuits, Jessica is currently pursing a degree in Cell & Molecular Biology at UT Austin while also being actively involved in the school's acclaimed jazz program. She has toured the U.S. and Europe performing at various jazz festivals including Montreux Jazz Festival and the North Sea Jazz Festival. In addition, she has performed alongside internationally renowned jazz artists such as Cyrus Chestnut and Conrad Herwig. 2017 Downbeat Magazine award winner Don Gozzard is a diverse percussionist, composer, and educator. He holds a Bachelor of Fine Arts in Jazz Studies and Music Education for the University of Michigan where he studied with Michael Gould, Sean Dobbins, and Bob Hurst. During his time at U of M, Don performed with numerous jazz greats including Lee Konitz, Benny Golson, Jimmy Heath, Steve Wilson, and Marcus Belgrave. Touring and festival performance credits include Shanghai, China, and the Detroit International Jazz Festival (2009, 2010, 2013), and official performing artist at SXSW 2017. Now based out of Austin, Texas, he is finishing his masters degree in Jazz Performance at the University of Texas at Austin and is an active freelancer performing all over central Texas. He can be seen regularly at Austin venues such as Stay Gold, The Elephant Room, the Blackheart, and Bangers Sausage and Beer Garden. Austin native and exceptionally talented, dynamic bassist Taylor Turner has been playing bass professionally in and around Austin for nine years, covering every genre of music from jazz to Americana and bluegrass, to funk and shoegaze. Taylor has performed with ensembles including the Austin Symphonic Band, Tapestry Dance Company, and Penfold Theatre as well as productions at Zach Scott Theatre. He is also an in-demand recording session player. Jazz performance credits include masterclasses and concerts with internationally renowned jazz artists such as Will Kennedy (The Yellowjackets) and Conrad Herwig. Taylor is looking forward to graduating from the University of Texas at Austin this May with his Bachelor's degree in Jazz Performance and finally having time to take his red and blue heelers swimming regularly.